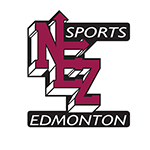 The 2019 NEZ Winter Camp will run from January 6 to March 1 and is available HERE for registration. We’ve again kept the cost per hour at an exceptional rate of just over $10/hr to provide the best value in winter camps in our region – registration is $249 for the 8-week, 16-session camp running at Home Run Sports and Commonwealth Community Rec Centre. Any community coaches interested in assisting at the camp should email John Sutherland at jsoco57@live.com for info about a classroom training session to take place at Turf Training Centre on Saturday, November 24 at 11:00am – attendance is highly recommended, however alternate arrangements will be made for those with conflicts. This is an outstanding opportunity for coaches to learn drills and practice planning for the 2019 season.